To honor America’s heroic firefighters and highlight their red-hot cooking talents, the makers of HORMEL® Chili are once again teaming up with the National Fallen Firefighters Foundation (NFFF) to crown “America’s Best Firehouse Chili Recipe.” The contest, now in its second year, provides firefighters across the country the opportunity to submit their very own chili recipes for the chance to win $10,000 for their station. 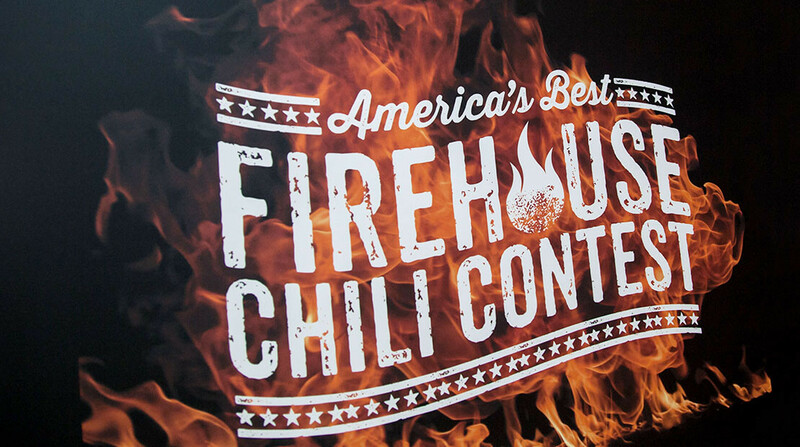 From now until July 16, 2018, firefighters will be encouraged to submit their best chili recipe to www.firehousechili.hormel.com for judging. Hormel Foods will select five finalists, one from each major region of the U.S. including North, South, East, West and Midwest. Those finalists will be flown to New York City to compete in a live chili cook-off for a chance to win the grand prize. Judging of recipes will be based on originality, flavor, and inspiration behind each recipe submission. In addition to contest prizing, the makers of HORMEL® Chili will also be presenting the NFFF with a donation of $20,000. For the second year of the contest, the makers of HORMEL® Chili have tapped Jason George, star of ABC’s new hit show, Station 19, to participate as a guest judge. In the new Grey’s Anatomy spinoff, Jason reprises his role as Ben Warren, surgeon turned firefighter. Outside of embodying the spirit of a firefighter on TV, Jason is dedicated to giving back to the firefighter community and helping to highlight the service they provide. The brand officially announced this year’s contest at the Fire Department Instructor’s Conference (FDIC) April 23 – 28, 2018 in Indianapolis, Indiana. The FDIC is a six-day conference, full of workshops, seminars, competitions, networking and more. Last year’s contest saw firefighter, Jeremy Chauvin of Edgard, LA, take home the grand prize with his “Spencer Way” chili recipe. The recipe, named in honor of his late brother who was also a firefighter, is something that has been passed down through his family along the years. To conclude the competition, the makers of HORMEL® Chili will present the grand prize-winning station a check for $10,000, as well as chili to stock their kitchen for a year. All “runners-up” from the live cook-off will receive chili to stock their kitchen for a year as well. For more information on the makers of HORMEL®Chili, be sure to visit www.hormel.com/Brands/HormelChili as well as check out www.Facebook.com/hormel.chili for updates on contest results. The United States Congress created the National Fallen Firefighters Foundation to lead a nationwide effort to remember America’s fallen firefighters. Since 1992, the tax-exempt, nonprofit Foundation has developed and expanded programs to honor our fallen fire heroes and assist their families and co-workers. The Foundation is a 501(c)3 nonprofit organization, located in Emmitsburg, Maryland. It is registered as a corporation in the State of Maryland. The Foundation receives funding through private donations from caring individuals, organizations, corporations, and foundations. A grant from the Department of Justice’s Bureau of Justice Assistance supports programs for survivors of fallen firefighters.